The European Union must hear from Britain how it plans to proceed with Brexit before deciding whether to delay the divorce, negotiator Michel Barnier said Wednesday. On Tuesday, British MPs rejected the Brexit withdrawal plan that Prime Minister Theresa May had agreed with EU negotiators — with just 16 days to go before Britain is due to leave the bloc. 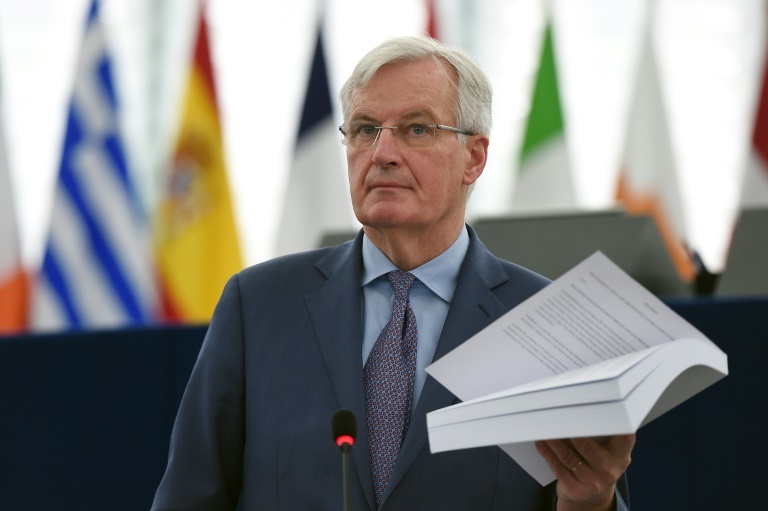 The lawmakers are to vote again on Wednesday to indicate how they plan to proceed, but Barnier was clear that Brussels will not renegotiate the agreement now. “After this vote… it will be for the British government to say how it wants to proceed,” Barnier told a meeting of the European Parliament in Strasbourg. “It is the responsibility of the United Kingdom to tell us what it wants in a future relationship, what is its choice, the clear line that must be its own. “That’s the question that is open and to which we await a response, and it’s the question that must be answered even before any decision on an extension. “Why would we prolong the negotiation? To do what? Because the Article 50 negotiation is finished, we have a treaty, it’s there,” he said, referring to the withdrawal agreement. Previously, EU officials have suggested that Britain may be given extra time — in a one-off extension that will not be renewed — to agree on an orderly exit plan. But if Britain is still in the bloc when European Parliamentary elections begin on May 23 then it must allow its own citizens to vote, complicating prospects of a lengthy delay.